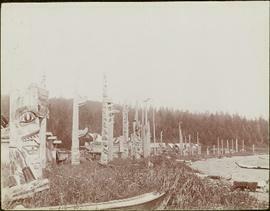 Rocky shoreline featuring a small dwelling, totem pole, net rack, canoes pulled up to shore, barrels and boxes and a tent.Handwritten annotation in pencil on verso reads: “Kunhalas [sic] at entrance to C--- Harbour”. 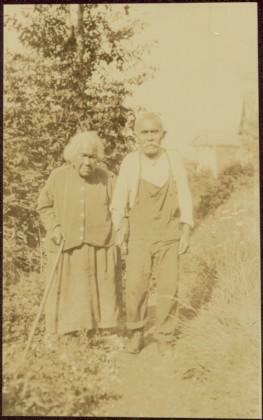 The couple walks arm in arm along dirt path in grass, buildings visible in background.Handwritten annotation on verso of photograph reads: "Joshua [Moody?] 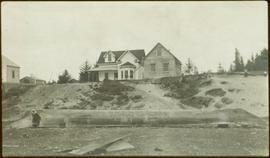 & Wife / ? 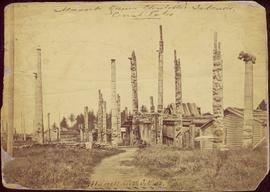 Masset B.C." 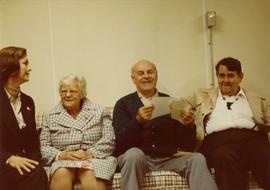 Photograph depicts Iona Campagnolo presenting a New Horizons program cheque to Queen Charlotte Islands senior citizens in Masset. 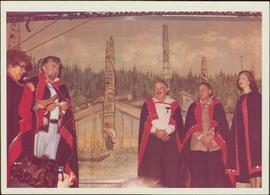 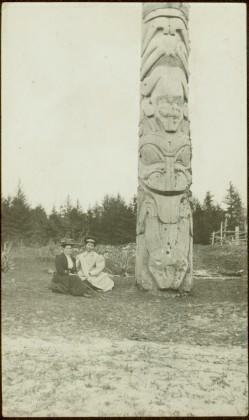 The grant was made for the preparation of a written history of the Queen Charlotte Islands. 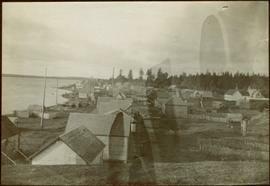 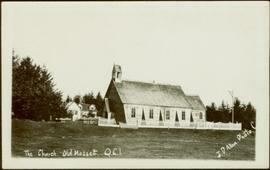 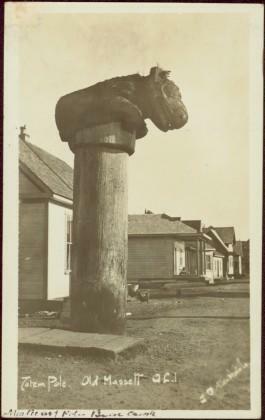 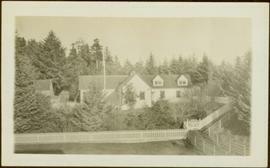 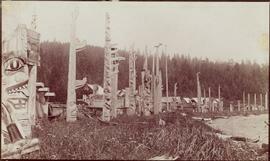 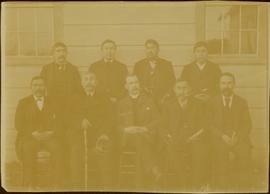 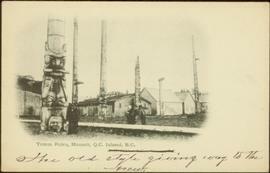 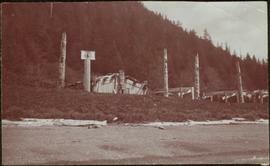 Photographs depict large building in fenced area, trees in yard and in background.Handwritten annotations on verso read: "Mission House at Massett QCIs"; "Mission House at Massett - Mother & Dad lived there." 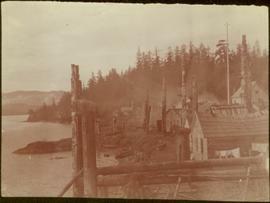 Photograph depicts village buildings along shore.Handwritten annotation on verso reads: "67 Section of Massett as it is". 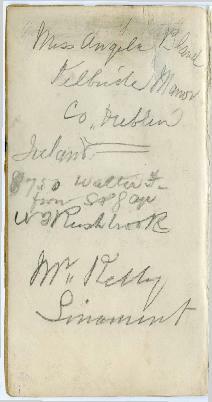 Small booklet containing handwritten notes of what appears to be a speech prepared by W.H. 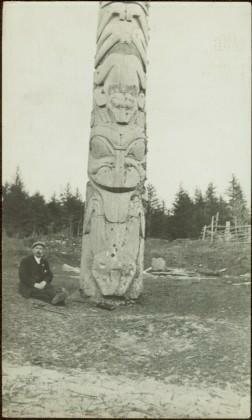 Collison on the topic of traditions and events he’s been witness to along the North West Coast of B.C. 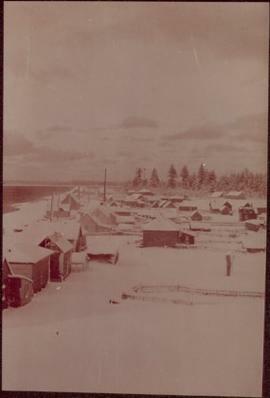 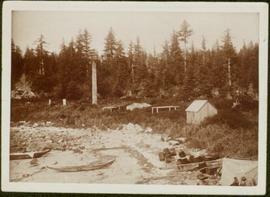 Photograph depicts village buildings along shore.Handwritten annotation on verso reads: "Massett in Winter dress."